Students will soon learn that events are a great way to add flexibility to a pre-written algorithm. Sometimes you want your program to be able to respond to the user exactly when the user wants it to. Events can make your program more interesting and interactive. Today, students will learn to distinguish events and actions. The students will see activities interrupted by having a "button" pressed on a paper remote. When seeing this event, the class will react with a unique action. Events are widely used in programming and should be easily recognizable after this lesson. Repeat commands given by an instructor. Recognize movements of the teacher as signals to initiate commands. Practice differentiating pre-defined actions and event-driven ones. Print one The Big Event (Courses C-F) - Worksheet and Event Controller. Print one The Big Event - Assessment for each student. An event is an action that causes something to happen. "I'm going to ask you a question. I want you to raise your hand if you want me to call on you for the answer." How many thumbs do I have? What is bigger, a bird or a horse? Call on a student who has their hand raised and let them give their answer. Upon finishing that display, ask the class how you knew that the student wanted you to call on them. Your class will likely mention the raising of the hand. Explain to everyone that when students raise their hand, it is an "event" that causes you to know that they want to be called on. Ask the class if they can think of any other events that give signals. You may need to remind them that you're not talking about an event like a birthday party or a field trip. If they have trouble, you can remind them that an event is an action that causes something to happen. What about an alarm clock going off? What does that make happen? What about pressing "Start" on the microwave? What does that do? What about pressing the power button on your tv remote? Today, we're going to practice changing programs by introducing events. If your students seem confused, talk about their favorite games and all of the ways that they let the characters know what they're supposed to do. Point out how the game would be really boring if it ran from start to finish without any events required. Do you remember guiding Red from Angry Birds to the pig in the Maze puzzles? In that exercise, you knew in advance exactly where you wanted Red to go, so you could make a program that took Red from start to finish without any interruptions. In most real programs, we can't do that because we want to have options, depending on what the user needs. Say that I only want my character to move when my finger is on the screen of my phone. I would need to program the character to only move when I put my finger on the screen of my phone. Putting my finger on the screen would then become an "event" that tells my character to move. In earlier lessons, we created algorithms that allowed us to control a friend or other character for several steps at a time. It was fun and useful, but what happens when you don’t know everything that you want your friend to do in advance? This is where events come in! Project the Event Controller onto your classroom screen. Practice tapping the buttons on the overhead and having your class react. 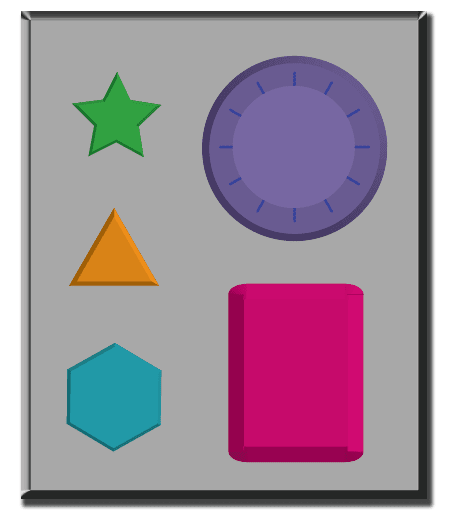 Add some button sequences into the mix and have the students try to keep up with their sounds. Let your class know that every time you push a button, it is an “event” that lets them know what they are expected to do next. Once their plan is underway, interject button presses sporadically. Continue the blend until they understand the difference between actions that are guided by a plan and those that are event driven. Why do we need to be able to handle events in a program? What are some other kinds of events that you can think of? Assign each student an event to watch out for, and an appropriate reaction to that event. Chain the actions so that each child's reaction becomes an event that triggers the reaction of another student. Keep assigning until everyone has something to do and everyone makes someone react. Break the class up into groups. Using the Events Controller, assign each group a different reaction to the same button. Do this for all three buttons, then watch the chaos!